SOMETHING VERY WISE TO HAVE - FOR YOUR LIFE IN COSTA RICA (AND MORE PEACE OF MIND AND EASE)!!! Nearly 5 years ago I had "signs" taking me from the Sarasota/Venice, Florida area I LOVED SOOOO MUCH to the MAGICAL country of Costa Rica - a more advance/semi-3rd world country. After traveling around the country 3 trips at 10-14 days each & going inside to look at what I desired from life right now - I realized one of the many things I wanted was more EASE & PEACE of MIND!!! I also looked at the fact that though I was one of the healthiest people I knew, I'm not spring chicken (I'll be 53 years young on June 9 [birthday greetings are welcome!!] & though I'm not a fan of Western Medicine - I needed to be real about the potentials of what COULD happen when one lives further from good - especially emergency - health care, so I decided to move to the area that had the MOST conveniences & ease for me - the Central Valley - specifically Escazu (San Rafael) - THE MOST developed/"gringo-ized" part of Costa Rica where I have just about every modern convenience I could desire/need - much of it practically within a 15 block radius. I quickly learned that, for me, Costa Rica is a country that WILL FORCE you to live IN THE PRESENT/being CONSCIOUS 24/7 - not just for crime (which is everywhere) but mainly, for fear of falling into a hole or tripping over a random piece of metal sticking out of the cement - or your car falling into an open manhole because some fools stolen it over the past 10 minutes in morning rush hour with people watching it yet not doing anything about it (they can sell it). These "reminders" have shown up on NUMEROUS parts of my body - in a crushed big toe, getting stung by ants & my feat reacting for over a year, MANY MANY falls (the latest seem to have me landing on my right knee!!!) with the worst resulting in torn tendons to prove it! Health-wise I haven't had a "cold" in AGES though I had that allergy to mold/asthma epidemic that went around a few years ago that landed me in the clinic getting 4 nebulizers & 2 IV steroid drips & numerous drugs - none of which worked & I could barely sleep/breathe for 6 weeks. Then, the night before a trip back to the states, I'd gone 2 nights without sleep & 3 days literally without food or water (I was feeding off adrenalin - my "drug of choice") when something happened & I ended up in the hospital with BEYOND MEGA HIGH blood pressure (I'd only recently learned I had an issue with it & hadn't dealt with it) - so, being one that believes if I take Preventative Measures - I have more "control" & can release any "What if___?" fears. Added to living solo & in a VERY difficult place to find, though I have LOTS of taxi's around me that know me & my home well & CIMA Hospital (THE gringo/Texas-based hospital) - I realized I need to know that I can be taken care of in an emergency so I sought out options to get me to a hospital - just in case!!! I've known numerous people that have called the only public ambulance service in the country - Cruz Rojo•Red Cross for an emergency & it's not all that rare for them to take quite a bit of time to come & I didn't want to risk my life on that. (I also inspected a few of their ambulances). After inspecting 2 Emergencias Medicas ambulances, I BY FAR found them WAYYYYYYY better/more equipped - hence felt more "secure" & opted to enroll in a Private AMBULANCE Service - Emergencias Medicas - especially knowing that they WILL know how to find me in this hidden/magical oasis I call home (even the cops didn't know about this special quinta!!!). Also, in time of crisis, even the best Spanish speaking person can panic & forget how to speak it - especially in translating crucial/sometimes time critical information & Emergencias Medicas said they always have someone there that speaks English. who speaks GOOD English & she's VERY helpful!! At the time of registering they give you a bunch of stickers with their phone their on them (unfortunately there wasn't a line to write your account on it but I did just that - to help me avoid an extra step/gathering of info). I gave one to my neighbors, the groundsman & my 2 GOOD friends that know my wishes (& one has my Power of Attorney) - in case of emergency (better to be overly prepared - especially Goddess Forbid - IF anything ever happened - it's one less thing I have to worry about!!! I also have one in my wallet - by my Costa Rican Driver's License (with Organ Donor sticker!!!) & my Red Cross card that states what my blood type is as well as my Organ Donor Card. WHERE DOES IT COVER ME? PRICE/HOW DO YOU PAY FOR IT? The price for me (solo & under 60) is just around $16/month. Of course the price goes up the higher your age &/or with more people in the household. 2 people over 65+ is around 25,000-c/month. You can also get a plan to cover your business. I opted for the auto pay which comes out of my Costa Rican bank account the 1st of the month (not sure if you can do it with a credit card only. I think you can only do this with a CR bank account). On the 1st day of the next month the account goes into effect. This policy covers you - be you in your home, a park or even your car! 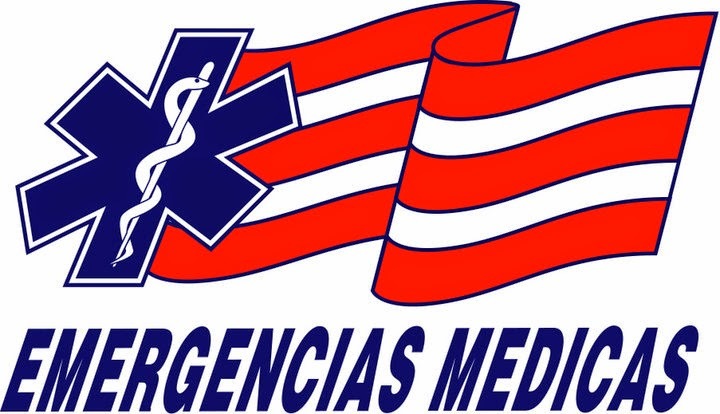 Emergencias Medicas gives you a special Emergency phone number to call & on the Membership Card they give you - you give them your "code"/membership info (I've been told they DO have some people at the emergency number that speak English [I'm learning more & more EVERY day!!!]). 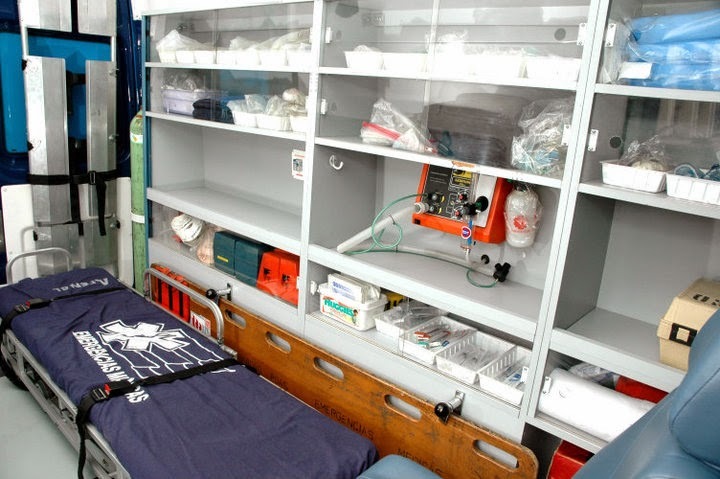 Then an ambulance arrives with a paramedic AND doctor & full emergency equipment (including cardiac) to attempt to stablize you at home (Olga in the office said that 85% of the time - that's all that's needed). IF THEY (the Emergencias Medicas doctor AND the hospital YOU’VE chosen to go to [I believe you give that information to them when signing up so they take you there. HANDS DOWN for ME it's HOSPITAL SAN JUAN DE DIOS]) assess that you TRULY NEED to go to the hospital - they'll bring me THERE (if you need a ride home from the hospital - that is NOT included but they will give you a contact for that). This is included in your monthly fee. One thing I wasn't totally clear on - I THINK I understood her to say that if they (the ambulance & crew that comes to my house) use any extra things (drugs, etc.) - that I would pay that difference - but again - I'm not 101% on that. Tell them Vicki Skinner (aka the Sarong Goddess) sent ya!! which is AWESOME - BUT - NOT when you don't dilute it and put it directly on the wound as it then sort of burned it!! So I went to Joyce and she said it appeared what I had was some sort of ___ Dermatitis but first I have to get the top layer healed from where I put the GSE on it hence all the horrible swelling. She GAVE me some Lactibon to clean it and Fucinda cream (the rep had JUST been there and left her some samples - GRATITUDE!!). She also told me to put some REAL Oats oatmeal (not the instant stuff) in a pan of hot water but NOT to bring it to a boil so I could take the water at the top and put it on a cotton ball on my face, then put the cream on it. It worked!!! NEXT STEP - Time to FINALLY check the body for the potential SKIN CANCER!! ForEVER I'd been avoiding going to a Dermatologist because I practically grew up at the beach and I even worked in it for 2 summers and grew up in So. Cal. (mainly going to Newport Beach, Newport Dunes and Corona del Mar) and I used to be a Sun Goddess (now the thought of laying at the beach doing nothing bores me as my big blue eyes are SOOOOO sensitive to the light). Especially because I NEVER EVER in my life have worn Sunscreen (my "3rd Eye" has told me to stay away from Sunscreen - more on that below)!! Twisted as that is, in the past what I'd do is go out once or twice a year and I'd FRY my bod, suffer for a few days, peal it off to reveal nice soft skin (my own version of a "Dermabrasian" treatment!) and the tan would last for 6+ months!! But then just before my visit to Joyce, I went to SanJuanDelSurNI.com where I bare-skinned on a sailboat for 7 hours and got 1st degree burns in some areas (the virgin thighs and other areas not used to exposure these days). To say the least, Joyce was CRINGING!! But MIRACULOUSLY I had NO spots on my bod!!!! I was PLEASANTLY SHOCKED!!! Joyce took a LOT of time with me with me - taking my history and checkin' ALL over the bod!! She told me I NEED to start wearing Sunscreen with at least SPF 15 and her fav was Dermagenics • Skingenics - it's the basic L'Oreal inexpensive brand that she felt was on par with the fancy expensive ones! 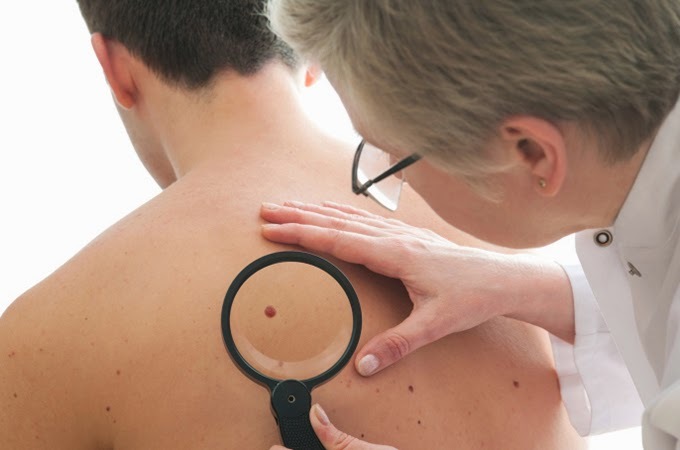 Now MY take on Sunscreens (note I am NOT a doctor) has been reconfirmed lately as there are MANY STUDIES coming out that feel that many Sunscreens actually can CREATE SKIN CANCER!!!! Google it and draw your OWN conclusion based on what is right for YOU!!!! So back to Dr Joyce Sheehy - She got her training and her passion and specialty is in SKIN CANCER (I've heard she is one of the BEST doctors in Costa Rica for Skin Cancer) and she worked in a burn unit in the U.S. Joyce has a GREAT team that works out of CIMA specializing in Mosh and Micrographics. She speaks VERY GOOD English and of course Spanish (she spent some time living in Chicago). 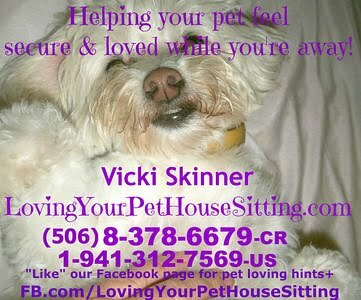 Please make sure to tell her Vicki Skinner with the blog (that came with Diane Sobel-Globerman around 2007 or so) Connected you! A basic visit starts at 40,000-c/$80ish just for a Consultation and 45,000-c/$90 includes some basic lesions burned off. that are REALLY GOOD to add to this list?? BRITISH FOOD: Fish and Chips (REAL Fish and Chips BUT it is THE LONGEST line and last year ran out early so get there early and take turns standing in line!! ), Curries, Bangers and Mash (Sausage and Mashed Potatos), Marmite, Curry Pastes, Proper Tea, Flakes, Curly Wurlys, Smoky Bacon crisps, tasty Sweets! RESTAURANTS: Tin Jo (never been there? This is a GREAT way to taste their tasty treats! ), Bagelmen, TCBY. RAFFLE/SILENT AUCTION PRIZES INCLUDE - There are LOTS of GREAT PRIZES like numerous hotel stays around Costa Rica (like Punta Islita Hotel), a flight to MIAMI, Dinners at many restaurants, signed DEPECHE MODE tour gear and LOTS MORE!! FOR THE KIDS - Face painting, bouncy castles, lucky dip, pony rides (sorry - just for the kids). GAMES for young and older!! CLIMATE CHANGE TENT - Watch the "Odyssey 2050" short film and be a part of the making of the movie! EVERYONE: It's a hair East of Plaza Laureles and the Laureles residencial area. You won't be able to miss it as there will be a police baracade there. On the corner leading to the party/Ambassador's house is a dental office. And down that street is a Karate Studio (at least last time I went there). Go almost to the end (north) and it's on the right! PARKING: Is on the street but I know last year when I went (in the afternoon) - it was HARD to come by! WARNING: Driving on Calle Vieja will be worse than normal so take your Chill Pill before you set out and BREATHE!! This is a CHARITY EVENT benefiting Costa Rican schools in need! Last year they raised close to $25,000!!! Please share this with EVERYONE you know!! Going through that time of your life - "the change" (menopause) & don't desire that old standby ways? MANY women are opting for Hormonal Optimization or BioIdentical Hormone Replacement Therapy - BHRT. This site is a DETAILED list of what doctors work with BioIdentical Hormone Replacement Therapy / Hormonal Optimization as well as a Compounding Pharmacy - just for you be you living in or coming to visit Costa Rica for Dental or Medical Tourism!! It's important to remember/realize that OPTIONS ARE IMPORTANT!!! What IS Bioidentical Hormone Replacement Therapy - BHRT / Hormonal Optimization? I new to this concept but I heard that BioIdenticals are Semi-synthetic. NOTE: Like in the states, MOST gynecologists & doctors in Costa Rica do NOT “believe” in bioidentical hormones, hence it can be challenging to find a doctor that knows how to prescribe bio-identicals but they ARE LEGAL in Costa Rica (not sure if the FDA finally approved them but hey - ANYTHING that’s approved in other countries before being accepted by the $$$ FDA $$$$/ which seems to be quite in bed with the let’s not help people TRULY heal pharmacuitical industry - it’s something I’d be willing to try!! & some people will say it’s a placebo effect - well - whatEVER works!!!!). I've heard that the cremes/potions, etc. aren't as much of a savings in Costa Rica (vs. the U.S.) as other medical proceedures/treatments but, where you WILL save is at the doctors office/tests!!! Livia is GYN (formerly OB) that specialized in Infertility at the University of Minnesota (she can’t really do that in Costa Rica because the catholic church has blocked most forms of infertility solutions [only artificial insemination is legal here) who now specializes in Anti-Aging (she goes to the Anti-Aging Congress every year (around April 13-26). I've heard that she is quite in the know with the latest things & the feedback I've found on her has ALL been REALLY GREAT!!!! Not only is she a woman but lets just say - she's of the age to "understand" what you're going through. LOCATION: Escazu (San Rafael) - 250 mts. North & 150 East of the AM/PM (it’s at the end of a dirt road) - Her niece Stephanie runs it & speaks GREAT English. HOURS: Mon.-Fri. 9am-7pm, Sat. 9am-5pm. As young as Dr. Castro is, I've heard that anti-aging is his LIFE & he's CONSTANTLY learning new things!!! He was trained in Europa-Mallorca, Dusseldorf, Paris, Barcelona & he has GOOD energy!! Camille wrote: "Dr. Castro was great! The blood work I had done was extensive. Ended up finding out that I am allergic to wheat, so have been off of it since my meeting with him. Also found out that my hormones were low so I am on bio-identical hormone therapy (which involves rubbing in a tiny amount of cream, made just for me, every morning). He also recommended some supplements to take. I did not realize it, but his clinic is an "anti-aging" clinic. His goal is to make people feel 20 years younger than we are. When we were trying to find the office, anyone that we asked for directions also made a comment about him and what a wonderful doctor he is. I was very impressed with him and what he had to tell me." The clinic has a spa, psychologist, nutrionist, acupuncturist, bach flowers, homeopathy Vitamin C Drip, Quelation Therapy, an anti-aging iv drip Hyaluronic acid - used to restore joint pain, arthritis, gives good Collagan for your skin. They do a more holistic approach. Even though he's young - he's TOTALLY DEVOTED to his field & learning new things. He's the only one that does the saliva test. He also works closely to the BEST Microbiologist in Costa Rica - Dr. Alvaro Apestegui. Dr. Nunez specializes in Internal Medicine & I believe the bulk of his business is making House Calls, working out of Hospital San Rafael in Alajuela & his home in San Isidro de Coronado in the evenings. VISIT: Office-25,000, Housecalls start at 35,000 (depending on where you’re located). If he doesn't know it - he's GREAT with finding out. LANGUAGE: Good English & Spanish. Specializes in GYN/OB & GYN Oncology (Cancer). LOCATION: San Jose (Downtown) - Avenida 4 & Calle 20 & 22. 200 mts South Hospital de Niños or 50 Mts. West Junta de Proteccion Social. DO YOU KNOW ANY OTHER DOCTORS TO ADD TO THIS? Have YOU been to any of these doctors? I'd LOVE for you to share YOUR story/experience so we can share that also!! You can either go to one of the above mentioned doctors - OR - you can go to a MICROBIOLOGIST!!! To me, for a test such as this or something as important - someone with the detailed training that this doctor has is who I'd go!! I don't know if I've EVER heard such RAVE reviews as I have on this doctor!! Basically - MANY have said he's THE BEST MICROBIOLOGIST / CLINICAL CHEMIST / BIO-CHEMIST in ALL of Costa Rica. Dr. Alvaro was trained in the states at Tulane University & I hear when he & his bud/associate Dr. Paolo Castro get together, the conversations are out of this world as BOTH have such incredible PASSION for their fields & learning!!!! *AND, he can make Housecalls (start at 5,000 [within San Jose] - depending on your area). Alvaro aims to make your life easier (heck, just by the fact he has 3 offices tell you that!!) so he can give you a password where you (or your doctor) can get your results via the internet so you don't need to come back in. NEXT? WHERE DO I GET THE COMPOUNDS?? NOTE: You MUST have a valid ORIGINAL prescription from a physician authorized to practice IN Costa Rica (i.e. 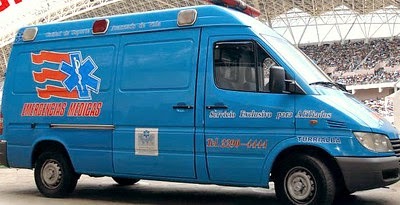 licensed by the Colegio de Medicos) to get a prescription filled. LANGUAGE: Ana speaks GREAT English plus Nidia Blanco is another pharmacist with her that also speaks GOOD English and Miranda can also help with English. If it's not available in the country - usually she can do it. EVERYTHING that comes in to get filled by Ana MUST have a doctors prescription since she's not responsible for overseeing the treatment, etc. GETTING LOW? DON'T WAIT!!! Sometimes things are on backorder. On average - 24-48 hours (unless it's something not customized & popular that she already has made). They recently installed a clean room that complies with USP that allows them to do injectables, chelation therapy, combination eye drops, etc. They are registered suppliers to CCSS and their customers include all major hospitals in Costa Rica (which I would think would translate to cheaper prices going directly to them). ORDERING / PAYING: They can take orders over the phone, fax or e-mail & can deliver it all over the country and overseas BUT, they MUST have an ORIGINAL prescription from a physician licensed to practice in Costa Rica & they will get that from you when they deliver it)!!! PAYMENT can be either cash, credit card or bank transfer (BCR) but if they deliver, you MUST have the card to get an imprint/signature. The delivery fee varies by location. DIRECTIONS: Escazu - Plaza Itskatzu - close to Fogo Brazil Restaurant (Plaza Itskatzu is home to Hooters, Outback, etc. - across the AutoPista just West of Hosptial CIMA). they'll be enhanced as we find new info! !